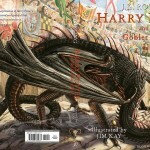 Celebrating the Magic of Wizarding Art on World Art Day! Taking moving portraits, for example. According to Rowling’s writing on Pottermore, “Hogwarts portraits are able to talk and move around from picture to picture. They behave like their subjects.” But, unlike Muggle art, the effect produced has less to do with the prowess of the painter and more to do with the power of the object. It must be a faithful representation, no doubt, which certainly requires artistic skill, but the quality of the witch or wizard’s behavior is imbued based on the strength of their nature. This is an interesting reversal of the traditional dynamic between painter and subject, as it is by far a more even collaboration. 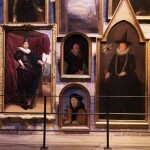 Other examples of these magical portraits can be found throughout the wizarding world–in the Ministry of Magic, in the Hogwarts castle, in St. Mungo’s Hospital for Magical Maladies and Injuries and in the homes of prominent families. 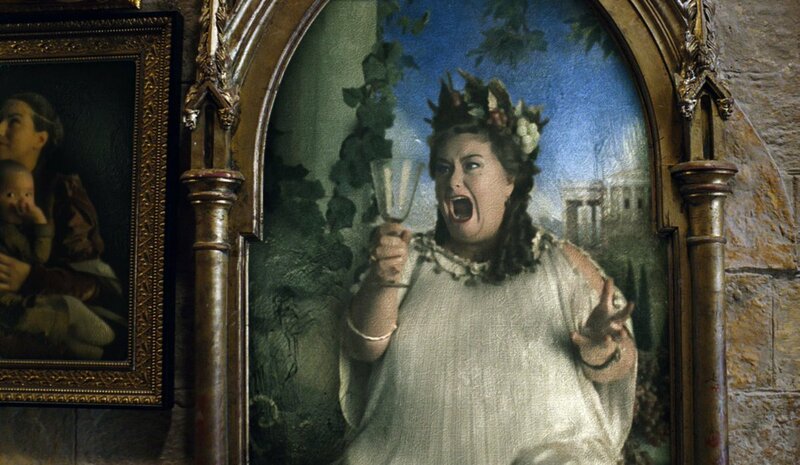 We have seen the portrait of Ariana Dumbledore in Aberforth’s room at the Hogshead Inn and Gilderoy Lockhart’s personal portrait displayed in his Defense Against the Dark Arts office. The portraits line the Hogwart’s halls and stairways, watching over secret passages and giving direction to students as needed. 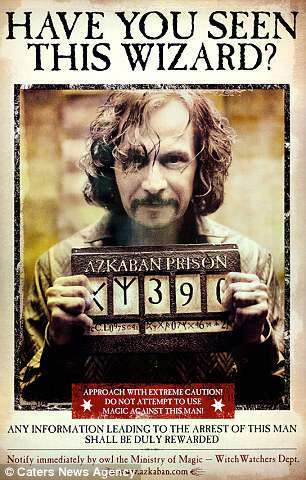 And when escaped convict Sirius Black broke into the castle, the portraits responded with realistic fear and apprehension. Some were even able to give brief testimonies after Albus Dumbledore’s inquiries. This makes complete sense, of course, as the headmasters and headmistresses of Hogwarts were remarkably powerful wizards and witches. 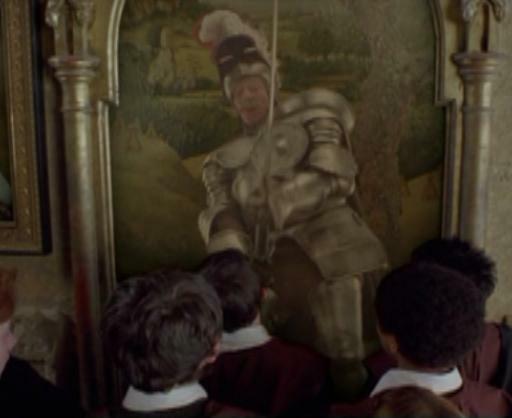 We know of many portraits which now reside in the headmaster’s office and other important locations, a significant revelation since the figures may travel between portraits! In addition to giving the current headmaster advice, it proved particularly useful when Arthur Weasley was attacked by Nagini in the Department of Mysteries. Everard was sent to his portrait in the Ministry of Magic to procure an update on Arthur’s condition, Dilys Derwent returned to St. Mungo’s to observe his safe transfer and Phineas Nigellus Black reluctantly went to the Black home at 12 Grimmauld Place to alert Sirius of the Weasley’s impending arrival. All of these portraits, and more, would have given Albus Dumbledore their assistance during his tenure. And upon Dumbledore’s death, Dumbledore’s portrait then gave the newly-appointed Severus Snape his counsel. It was on Dumbledore’s orders, in fact, that Snape took the sword of Godric Gryffindor to Harry Potter. It is also interesting to consider that many of these magical works of art would have advised Armando Dippet while Tom Riddle was a student and Albus Dumbledore the Transfiguration professor. We know that Dippet was headmaster when Riddle opened the Chamber of Secrets, for it was Dippet who threatened to close the school and later expelled Hagrid after finding Riddle’s fallacious account too believable. What might the portraits have said about that? And what might they have said in the year’s prior, during Grindelwald’s rise to power? We cannot be clear about who was headmaster during that time, as we only know for certain that the unpopular Phineas Nigellus Black died in 1925, before the Fantastic Beasts story begins, and that Dippet is at his post in 1942. 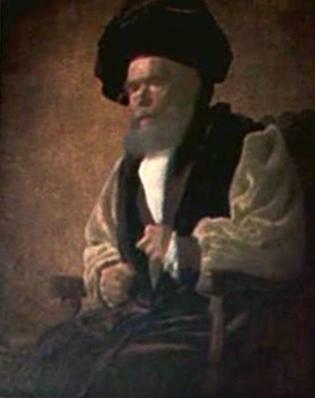 What counsel would Black, who would likely have been a Grindelwald supporter, given during that dark and dangerous time–and to whom? Would it have been heeded or cast aside? The influence of art in the world of magic takes on entirely new weight and significance when these possibilities are considered! As for how we, as fans, enjoy the wizarding world through art, we have an increasing number of outlets and options as the years go by. We can tour Warner Bros. 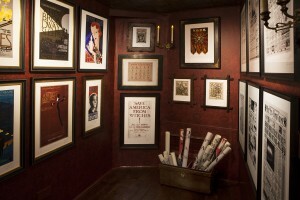 Studio Tour London for a glimpse of portraits used in filming, or we can visit the House of MinaLima in London or find the graphic artists at the Celebration of Harry Potter at Universal Orlando’s Resort, to view–or purchase!–art which makes the wizarding world and the series’ film sets come to life. This art will undoubtedly be available for the enjoyment of fans at some point in the future, too. 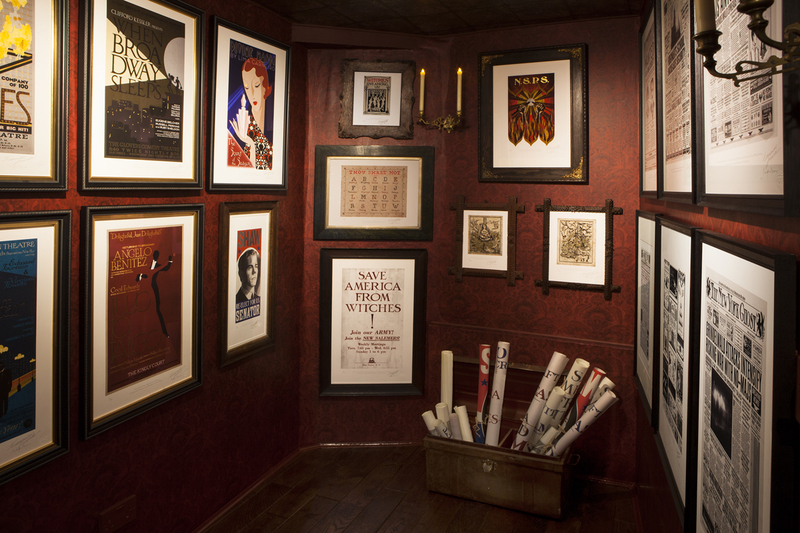 In the meantime, MinaLima is not the only place to procure magical art! 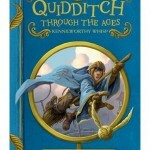 Pottermore now boasts an exclusive Art Collection available for purchase in both the UK and the United States. 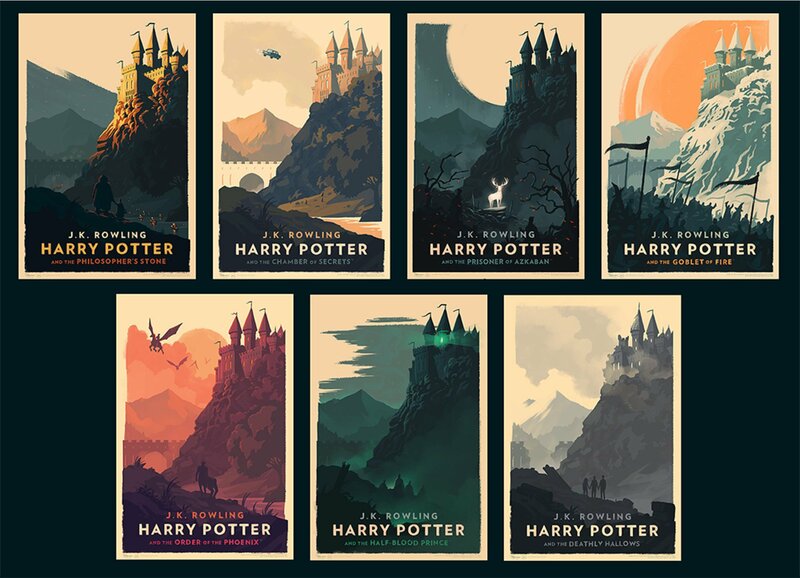 These pieces feature the work of skilled artists Montse Bernal, Peter Strain, Ross Crawford and Wanissa Somsuphangsri and consists of cover prints, watercolors, abstracts and more depicting memorable quotes, scenes and characters from the Harry Potter series. Devoted fans and art lovers often amass impressive collections, for it truly enhances our immersion into the world, allowing us to see with our own eyes, in spectacular ways, that which we have only previously imagined. The Daily Mail reported just this week that a fan known only as Mr. Fox procured an unissued Warner Bros. prototype of a Sirus Black “wanted” poster from Heritage Auctions for a record-breaking $18,000. What about you, Potter fans? How has art enhanced your appreciation and love for Harry Potter? What pieces do you have in your personal collection? What art have created yourself!? Share it with us that we may share in the magic of seeing the wizarding world through your eyes. Though it may seem outrageous to some, on World Art Day, it is much less so, for as Pablo Picasso said, “Everything you can imagine is real,” and this may be more true for the Harry Potter fan than any other. 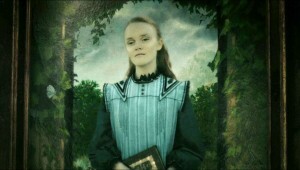 Read J.K. Rowling’s full Pottermore article on “Hogwarts Portraits” here. 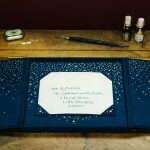 A Hidden Treasure: Bespoke Handwritten Hogwarts Letters From MinaLima!